We know them as cells that have been pivotal in major medical discoveries. Development of the polio vaccine would not have been possible without them. Advances made in research areas such as gene mapping, cancer, AIDS and more would not have been possible. However, very few people knew who these cells came from until Rebecca Skloot, a freelance science journalist, decided to find out for herself. The one name she kept coming across was Henrietta Lacks. Skloot tracked down Lacks’ family and unearthed a story worth every scientists’ time. HeLa was the first ever immortal cell line created from the cervical cancer cells of an African-American woman named Henrietta Lacks. Her cells divided without dying off after a set number of replications which was unheard of at the time. Researchers had tried over and over again to achieve cell immortality but every attempt had ended in failure. There was something special about HeLa that finally helped them reach their goal. However, this groundbreaking discovery was made without Lacks’ knowledge. The fact that her cells were being grown in a lab and used in numerous studies came as a complete surprise to the Lacks’ family. Skloot not only tells their story to the world, but also helps them understand what happened themselves. Skloot first brought this story to the world in 2010. Now, with the release of a movie version of the narrative, this story will reach an audience larger than ever before. Watch the trailer below for a snapshot of the woman who made it all possible. At Enzo Life Sciences, we use Henrietta’s cells continuously to validate our products. 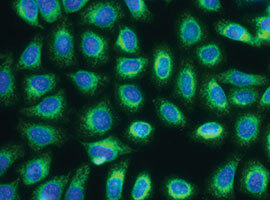 We provide a wide variety of products for your Cancer Research needs. As cancer hallmarks have evolved over the last decade, so has our portfolio of tools to support cancer research. 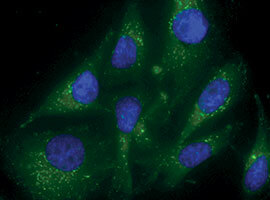 We offer innovative assays and reagents in the fields of epigenetics, autophagy, and Wnt research. Our extensive portfolio of products includes our high purity Capsaicin, SCREEN-WELL® Compound libraries, detection kits, substrates, active proteins, antibodies and inhibitors. We want to help you make strides in research that would not have been possible without Henrietta Lacks.